All of our chairs, benches, tables and footrests are made from locally purchased Western Red Cedar in Charlotte, NC. 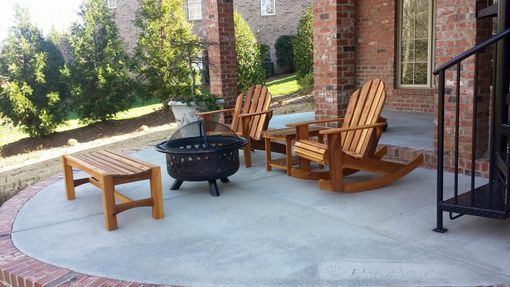 This is an excellent wood choice due its naturally rot and insect resistance and will last a lifetime with minimal maintenance. 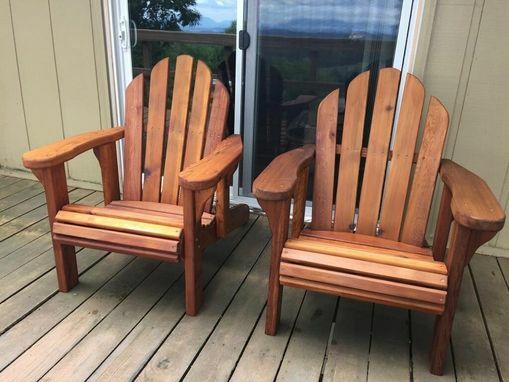 I would strongly recommend avoiding any outdoor furniture made from pine, as this will last only a few years before it starts to rot. Every piece we make will have hidden high quality exterior screws and stainless steel bolts, nuts and washers. 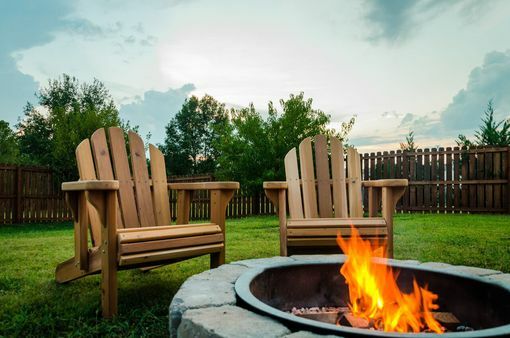 This is to ensure there will be no rust or wear on your outdoor furniture. 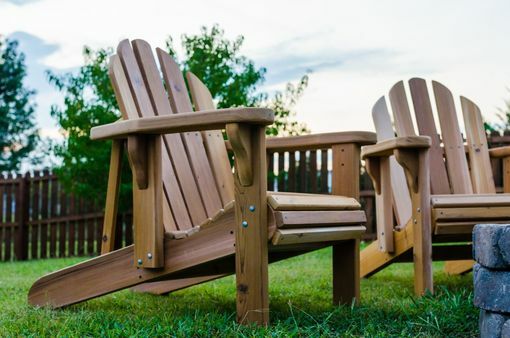 We also use the highest quality UV resistance and waterproof stain on the market to allow you to leave your chairs outside for years with no maintenance required. 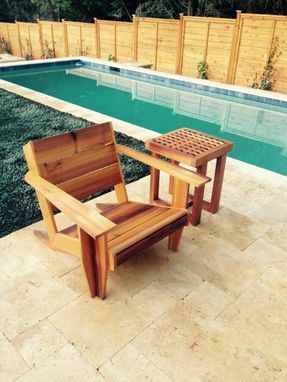 All of our chairs are made from cedar which is extremely strong, yet light enough for a child to carry. The back of the seats are contoured to provide even more comfort. We have several side tables that we offer, but are certainly open to any design you have in mind. 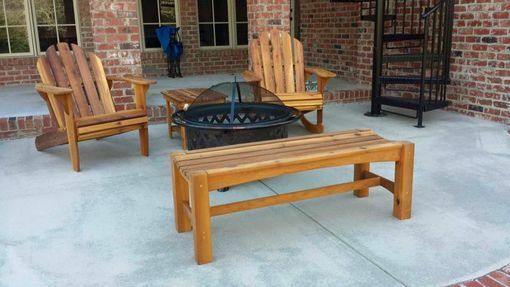 We also make benches that have a contoured seat, and are some of the most comfortable pieces of furniture we make.